Cleaning Services Leigh Trusts To Get the Job Done! Get professionals in to do all of the hard work, and give yourself more time to relax. 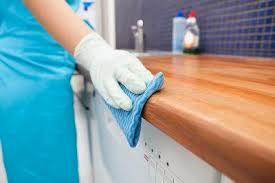 These are the cleaning services Leigh calls in when quality and reliability are the biggest demands. Because we know that every home and every office is different, we work to meet your priorities in all of our professional cleaning. You get a service that’s designed with your needs in mind, and can always count on getting the best from our fully trained, vetted and experienced team. Pick up the phone and dial 019 4256 2006 now, or choose to fill in our booking form or use our chat facility in the bottom right hand corner of the page. We’re ready to take your call 24 hours a day.